Google Street ViewAn image from Google Street View showing the Tribeca Grill, a restaurant owned by Robert de Niro. One of Robert De Niro’s restaurants in New York, Tribeca Grill, received a package containing one device, New York police told Business Insider. It comes after several devices were sent by mail to prominent Democrats and critics of Donald Trump around the US. The package was addressed to De Niro at his production company, which shares the same address as the restaurant. 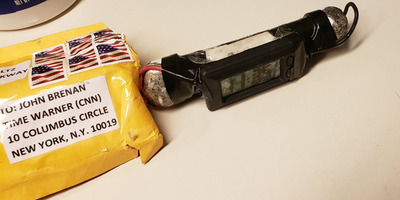 It listed Democratic Rep. Debbie Wasserman Schultz as the sender, like all the other suspicious packages found earlier this week. The device at De Niro’s restaurant did not detonate, and nobody was hurt. 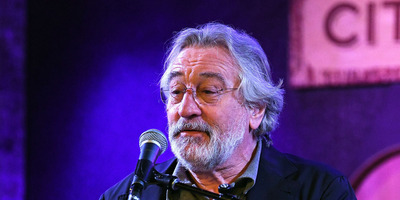 A suspicious package has been sent to Robert De Niro’s New York City restaurant, the New York Police Department has said. 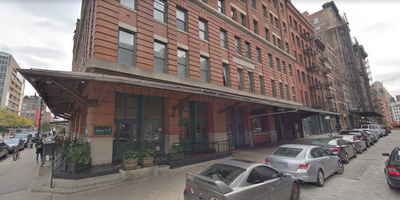 A package containing one device was sent to Tribeca Grill, a restaurant the actor owns in Lower Manhattan, two NYPD spokesman told Business Insider on Thursday. It came after several explosives were sent by mail across the US to prominent Democrats and critics of President Trump this week. Multiple pipe bombs were addressed to the residences of offices of people including former president Barack Obama, 2016 presidential candidate Hillary Clinton, and California Democratic Sen. Kamala Harris. The package found at De Niro’s restaurant was addressed to the actor at his production company, Tribeca Productions, which according to LinkedIn shares the same address as the Tribeca Grill. ABC News correspondent Aaron Katersky tweeted a photo of the package. Like all the other packages found earlier this week, the one found at Tribeca Grill listed Democratic Rep. Debbie Wasserman Schultz, the former chair of the Democratic National Committee, as the sender. The device did not detonate and nobody was injured, one of the spokesman said. It is now being removed to the NYPD’s facility in the Bronx. The package’s exact time of arrival is not clear at this point. De Niro is a vocal Trump critic, having used his appearance at the Tony Awards earlier this year to say “f— Trump” earlier this year. He also said he had barred Trump from all the locations of his restaurant chain, Nobu. CNN on Wednesday evacuated its New York bureau when another explosive was found in its mail room. That device was addressed to former CIA Director John Brennan, a frequent guest on the network. Brennan’s name was misspelled on the package. CNNThe package and bomb sent to John Brennan at CNN’s New York bureau on Wednesday.